Lava 4G Connect M1 mobile was launched in February 2017. The phone comes with a 2.40-inch display. Lava 4G Connect M1 is powered by a 1.2GHz quad-core processor. It comes with 512MB of RAM. The Lava 4G Connect M1 is powered by a 1,750mAh non-removable battery. As far as the cameras are concerned, the Lava 4G Connect M1 on the rear packs 0.3-megapixel camera. Lava 4G Connect M1 packs 4GB of inbuilt storage that can be expanded via microSD card (up to 32GB). 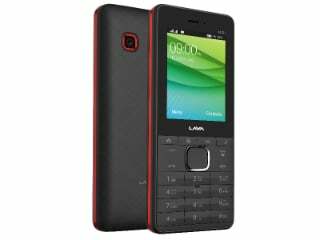 The Lava 4G Connect M1 is a single SIMmobile. Connectivity options on the Lava 4G Connect M1 include Wi-Fi, FM radio, 3G, and 4G (with support for Band 40 used by some LTE networks in India).